Mera Peak Climbing is a physically demanding trek with steep climbing. But anyone with good physical fitness and mental endurance along with proper packing can summit this peak. The best time to ascend Mera Peak is during the spring and autumn. This is because of the good weather conditions and the spectacular views of the Himalayan vistas. The view from the top of Mera Peak is one of the major highlights of this peak climbing. You will get an amazing view of snow-capped mountains like the Everest, Lhotse, Nuptse, Makalu, Cho Oyu etc. It is a challenging trek due to its elevation but the technical mountaineering skills required are very basic. It is ideal for experienced trekkers and also for those opting for the first-time peak climbing. Trekking and climbing to Mera Peak will take you on a journey through remote picturesque villages of Sherpa people. It will take you through trials which offers a panoramic view of the Himalayas. It also offers some magnificent views of the Hinku Nup and Shar glacier. 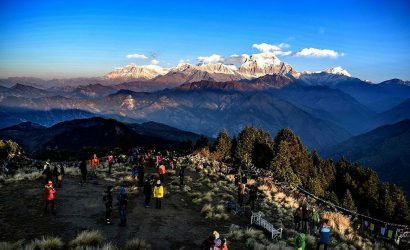 You will also get stunning views of the Kanchenjunga, Everest, Makalu, Nuptse, Cho Oyu, Baruntse and Chamlang Mountain etc. Since you will be in the mountains for longer days you should prepare well with appropriate packing to deal with any weather differences. 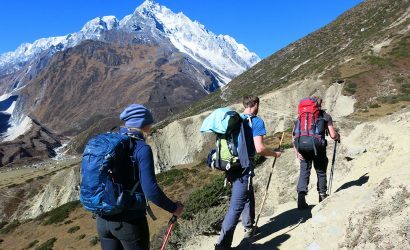 With the right clothing, climbing/trekking equipment, and enough acclimatization days you can make your climb to Mera peak a safe and enjoyable one. Stand at the summit the highest trekking peak in Nepal. Spectacular views of the mountains like Lhotse, Makalu, Everest, Cho Oyu, and Kanchenjunga. Trek through the wild and remote Valleys of Nepal. A representative of our crew will receive you at the airport and take you to the hotel for the night stay. We will brief you on the Hotel other information about the trip. There are no planned activities for the day, so you can rest and enjoy your stay at the hotel. After breakfast, you will have a half day tour of Kathmandu. You will visit the world heritage sites like Kathmandu Durbar Square, Swayambhunath Stupa, Boudhanath Stupa, and Pashupatinath temple. After that, you can pack for your trip and have a good night sleep at the hotel. After a scenic 45 minutes flight, you finally reach Lukla airport. It is also known as one of the most dangerous airports in the world. 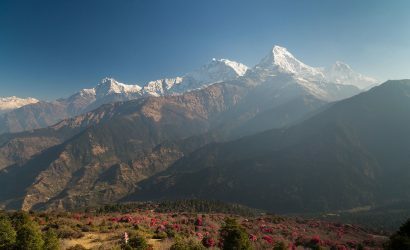 From Lukla, you will start your trek by heading east into the thick forest below the Kalo Himal ridge. This marks your start of the pre-climbing journey. This should lead you through terraced landscapes, untouched valleys, and charming villages. It is also inhabited by Sherpa people. You will spend the night here at Chhuthang. Today after breakfast you will follow a trail that is a gradual ascent which steepens as you reach the crossing of Zatrawala pass. As you reach the top of Zatrawala pass, you will be awestruck with the amazing view of the Numbur Himal, Kongdi Ri, Karyolang Peak. The trek will then continue towards the leveled path for about 3 hours before descending all the way to Tuli Kharka where you will spend the night. Today you will have to trek both uphill and downhill through the dense forests filled with rhododendron, oak, pine and juniper trees. 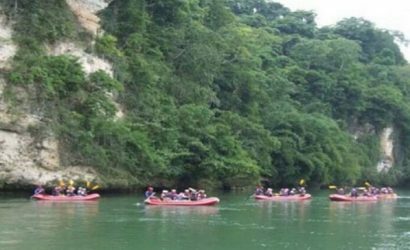 You will have to go through a steep descend which will lead you to the Hinku river and from there, an uphill climb will finally bring you to Kothe valley. Today's trek will give you magnificent views of the Mera Peak and the surrounding snow-capped peaks. You will spend the night here at Kothe. After breakfast today you will start your trek towards Thangnak which is a summer grazing area. Today's trail will take you along the rim of Hinku river towards Gondishung. You will also pass through the Lungsumgba gompa which is almost 200 years old. This path is a gradual ascent and you will get mesmerizing views of the Kusum Kanguru peak and more. Our trail today goes over the lateral moraine towards the Hinku Nup and Shar glacier. From there our trail is a steep ascend to Khare. There are many campsites here at Khare. The most popular one is at the upper end of Khare beneath a group of boulders. Khare offers magnificent views of the northern face of Mera Peak along with Hinku Shar glacier and Mera La. Acclimatization is very important for trekking in high altitudes. This helps avoid altitude sickness and mental stress. Since you are climbing a peak which is over 21,190 ft you must get proper rest and acclimatization to ensure a successful summit climb. Today you can explore the area and enjoy a good rest. After breakfast today, you will start short but demanding trek towards Mera base camp. The trail is a gradual ascent to the Mera glacier after which you will cross the glacier to reach the base camp. There you can learn a few important things about ice climbing. You will camp the night at the base camp. From the base camp today you will follow a trail that goes over the Mera La pass and towards the Mera Peak High Camp. Once at the high camp our team will set up the camp and make one last check on the equipment and your health conditions. From High Camp, during great weather, you will get a panoramic view of Kanchenjunga. Also great views of the Everest, Makalu, Nuptse, Cho Oyu, Baruntse and Chamlang. The day you have been waiting for is finally here. You get to summit the Mera Peak today after all the days of trekking. Fully prepared, you will advance towards the summit early at around 2 am after breakfast. 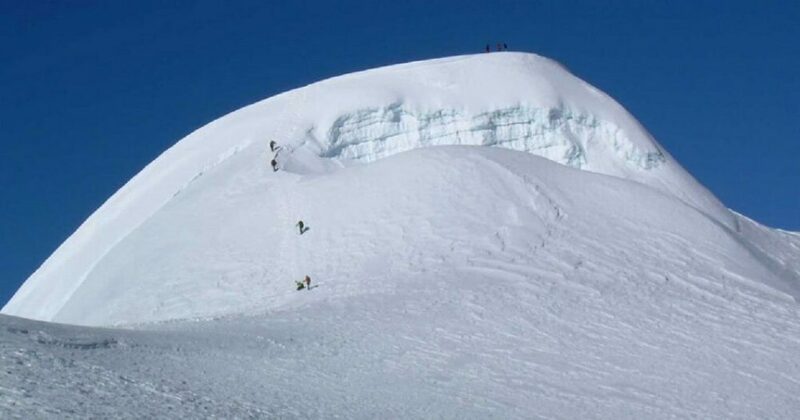 Following your experienced climbing expert, you will finally summit the Mera Peak. 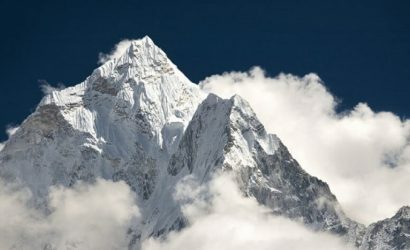 From the summit, you can get spectacular views of the mighty Himalayas including Mt. Everest (8,848m), Cho-Oyu (8,210m), Lhotse (8,516m), Makalu (8,463m), Kangchenjunga (8,586m), Nuptse (7,855m), Chamlang (7,319m), Baruntse (7, 129m) and others. After spending some time at the summit you will retrace your steps back to the high camp. You will rest for a while here and then we will follow the same route and head back to Khare and spend the night there. After having climbed the Mera peak we will retrace our steps back to Khote through Thangnak. The trek is mostly downhill trekking and from Khare to Khote you will lose almost 1600m in altitude. After reaching Khote you can celebrate your success by trying out local delicacies and wines. The trail to Tuli Kharka is an uphill trekking. You will trek through dense rhododendron forest that goes over the western section of the Hinku valley towards Tuli Kharka. From Tuli Kharka you will get amazing views of the Mera North, Mera Central and Mera South. Today is the last day of your trekking. During today's trekking, you will cross the Zatrawala pass before trekking downhill to the Dudh Koshi valley and Lukla. In the evening you will celebrate together with your team for the success of your Mera peak climbing. You will catch an early morning flight back to Kathmandu today. 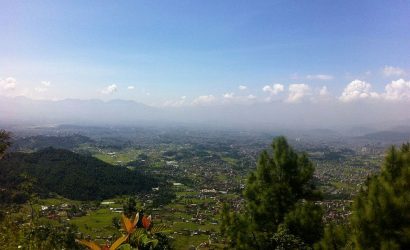 After reaching Kathmandu you can either rest in your hotel or go souvenir shopping or just go around exploring Kathmandu. Day 16: International Departure from Kathmandu. After an amazing experience in the Himalayas of Nepal, your trip has finally come to an end. But we hope this is just one of the many trips you will take to Nepal with us. One of our representative from eagle eye will drop you at the airport as per your flight schedule.